Carbon-fibre reinforced leads are hard wearing resistant to fracturing. 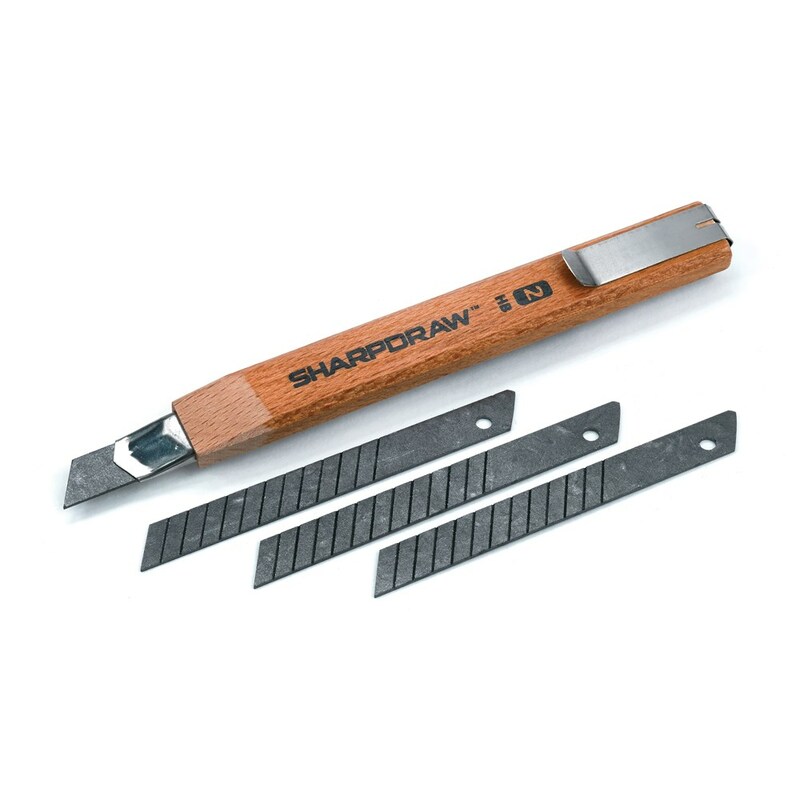 Compatible with most utility knives. Finally, the workshop pencil that never needs sharpening. Looking like a utility knife, the leads are reinforced with carbon-fibre to make them resistant to fracturing. They give a consistent 1mm fine line equivalent to a standard HB pencil. 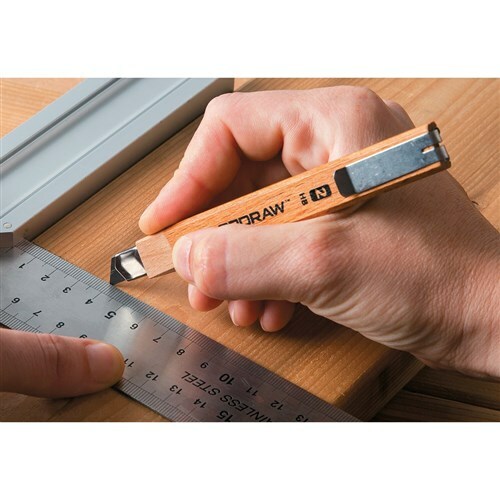 Looking like a carpenters pencil from one side, flipping it over, and you see the convenient utility style knife mechanism. The replacement leads are compatible with most utility knives. They are an ideal choice for paper, plasterboard, melamine and dressed timber.